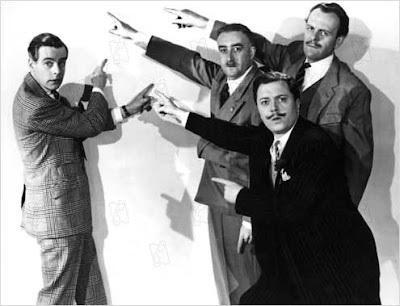 Stanley Windrush (Ian Carmichael), an Oxbridge graduate fresh out of the army, embarks on his civilian career and decides to seek employment in the manufacturing sector. After several false starts, he is invited to take a position as a forklift truck driver at Missiles Ltd., a factory owned by his swindling uncle Bertram Tracepurcel (Dennis Price). The latter is in cahoots with Sydney DeVere Cox (Richard Attenborough), owner of the rival firm Union Jack Foundries, with Tracepurcel hoping to win a major contract from a Middle Eastern government and then dupe Stanley into causing a strike at his own plant, making delivery of the commission impossible, whereupon Cox's organisation can step in and finish the order for an inflated fee, with the windfall split evenly. However, when Union Jack employees stage a sympathy demonstration, Britain grinds to a halt and Stanley finds himself in the eye of a media storm. In this loose sequel to their earlier military comedy Private's Progress (1956), again based on an Alan Hackney novel, twin brothers John and Roy Boulting turn their satirical gaze to British industry and present a world in which a never-ending war of self-interest is being waged between a ruling caste of upper crust executives and the militant labour unions representing the hands that serve them, a situation that benefits neither and for which both parties are at fault. Fat cats have been lampooned since time immemorial so what makes I'm All Right Jack interesting is its daring to criticise the workers, accusing them of bone idleness and a dogged commitment to low productivity and personal comfort to the detriment of the greater good. Tired clichés about the dignity of labour and the saintly nobility of the proletariat are gleefully thrown out by the Boultings (timely in the era of Arthur Seaton and the Angry Young Men), who make a stinging attack on trade union gangsterism and present scenes in which munitions factory workers hide behind packing crates so that they can carry on a card game in peace before breaking for lunch. 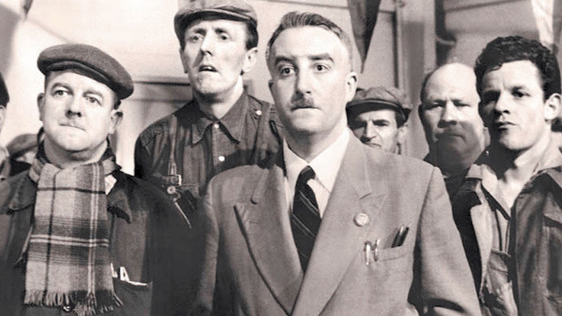 Orchestrating their cushy existence is Peter Sellers' famous shop steward Fred Kite, quite possibly the comedian's finest film characterisation and certainly one of his most restrained performances. This aspiring Bolshevik, a martinet in overalls, may rule the roost at Missiles Ltd. but he is an irrelevance in his own home, routinely overruled by his brassy wife (Irene Handl) and daughter (Liz Fraser) and quite unable to darn his socks or do the washing up when left to his own devices. As in many of the Boultings' other institutional satires like Brothers In Law (1957), Carmichael makes for a game lead but I fear his appeal may be largely lost on modern audiences. There's no shortage of rivals for the limelight though, with Terry-Thomas again on hand to reprise his role as Major Hitchcock, now head of personnel, and busily denouncing his inferiors as "positive showers" with delicious relish. The likes of Margaret Rutherford, John Le Mesurier, Raymond Huntley, Kenneth Griffith and even Malcolm Muggeridge make for an enviable supporting cast but Miles Malleson probably just about steals it as Stanley's father, an extremely relaxed but committed nudist.